We use Vactor sewer-cleaning equipment, catch basin cleaners, and water jetters. RootX is an environmentally friendly aquatic herbicide used to control intrusive tree and plant roots. RootX also seals the inside of the line being treated, preventing roots from re-entering. 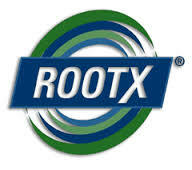 RootX kills roots on contact and within an hour destroys the root structure, restoring pipe flow capacity. Over time, the remnants of the broken down roots are carried out with flow of wastewater. Grease-x is an environmentally friendly emulsifier used during the process of water jetting of pipelines to eliminate and prevent blockages and restore pipe flow capacity. PipePatch is a company that specializes in trenchless technology materials and equipment.